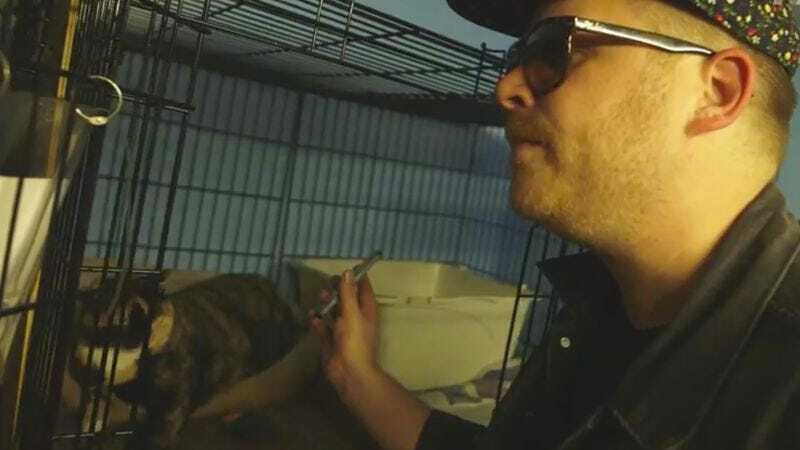 Pushy stage cat-moms take note: Now that Meow The Jewels has been successfully funded, El-P is officially auditioning feline vocalists to contribute to the album. He invited Mass Appeal along for his first official cat casting call, which took place at the Brooklyn Animal Resource Coalition but really could have been anywhere because all animal shelters look (and smell) basically the same. Turns out the audition process is going to be more difficult than anticipated—while a few cats meowed along to tracks from the original Run The Jewels as played on El-P’s phone, most of them just ignored him, presumably because he had neither food nor catnip on his person. Hoping to improve his chances, El-P says next time, “I’ll bring a computer. Cats love computers.” Yes. Yes they do.